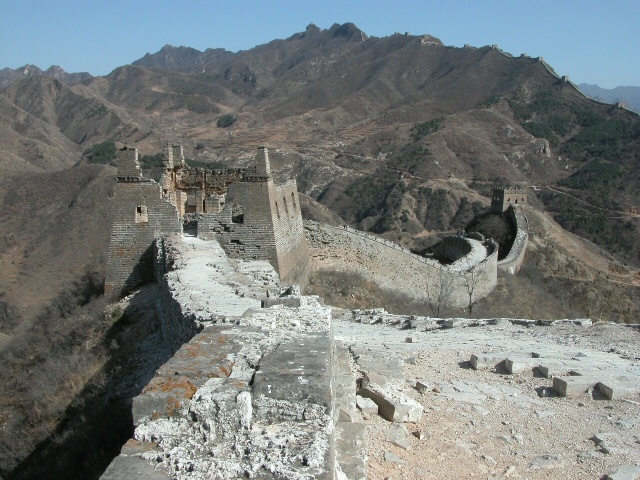 The Great Wall of China at Simatai follows the ridge line along a dramatic horizon. Nice one. Reminds me of my trip to Beijing and jumping at the Great Wall of China. Epic adventure!